Working on a lathe is very different from any other kind of craft. It has a unique feel to it in that the object you’re trying to make is not stationary throughout the process, making it a unique craft. A great benefit of this art is that you can make a lot of things with it that would be difficult to make otherwise. One of the possible items you can turn is a pen. Yes, you can actually make your own custom writing pens using a lathe. However, in order to make pens which look and feel great, you need a tool which is smaller than the usual size. 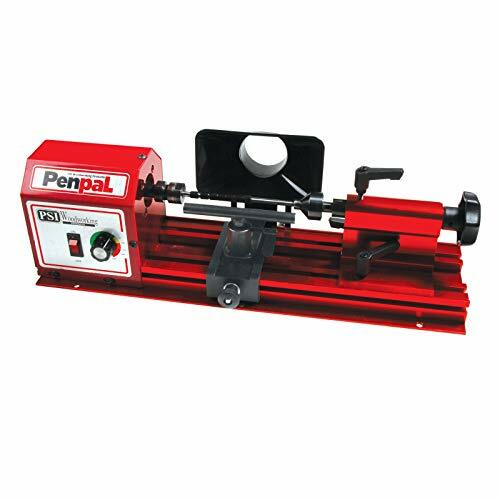 Mini lathes are available on the market which are perfect for making your own pens, but you need to be sure that the quality of the machine is adequate before buying it. A product which isn’t up to the mark can turn out to be nothing but a waste of your time and money. We’ve saved you the trouble of having to research what makes a good lathe, and have prepared a small list of products which can be found online and are perfect for making all sorts of pens. In terms of pricing, this woodturning lathe is the cheapest on this list. That doesn’t mean it doesn’t perform well, however – it’s just that it’s very small. Proxxon has made a great set which contains a motor which won’t be giving you problems at all. It has been manufactured in a manner which allows for it to withstand long periods of use, and can last for many years. Pen making becomes a breeze while working on this machine due to the fact that it can run on multiple speeds, allowing you to apply finishing touches while running the motor at lower RPMs. The height on this lathe is adjustable, adding to the list of benefits it brings. Lastly, it weighs next to nothing. You can carry it around wherever you need it due to its small size and weight, making it perfect for all sorts of working environments. On the whole, this lathe is a solid product to work with. It offers great value for its price, and won’t disappoint you if you choose to buy it. PSI Woodworking is known for its great lathes, and brings another one to the table. The PENPAL is a great power tool to buy, and comes with an aluminum base which is nice and stable and is great for making intricate objects, or in this case, pens. This product may be more expensive than the one offered by Proxxon, however, it does have a few extra features to make up for it. For one, it comes with a magnetic tool holder, which can be pretty useful while making anything on a lathe. The motor on this model is built to high standards, and can run on variable speeds, which is important while adding finishing touches to your wooden objects. It certainly weighs more than the MICRO by Proxxon, but is still light enough to be carried around easily. This product is best for people with some amount of experience with pen turning who are looking to practice some more. It brings good features for its price, and is a great product to buy. 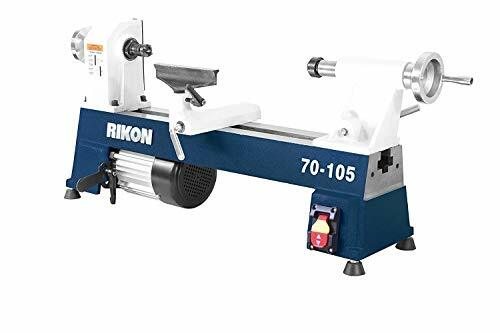 Being the most expensive item on today’s list, the Mini Lathe from RIKON is a great buy for people who are more experienced with woodturning and are looking to make some great handicraft items. The vibration on this lathe is heavily reduced due to its heavy cast iron bed, coupled with its headstock and tailstock. The product is quite tough and can stand all sorts of uses for long durations of time. The motor is of high quality, and offers 5 speed options for all stages of production. This set includes a tool rest as well. While this set is a little more expensive than others, it does have great quality, and is suitable for designing all sorts of woodworks, especially pens.